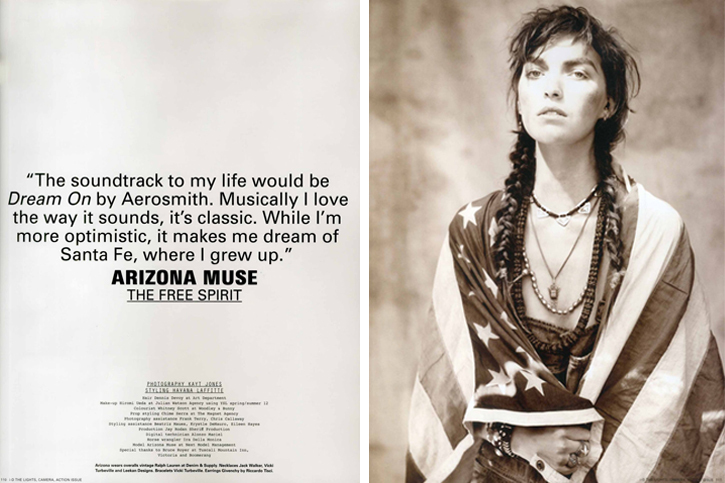 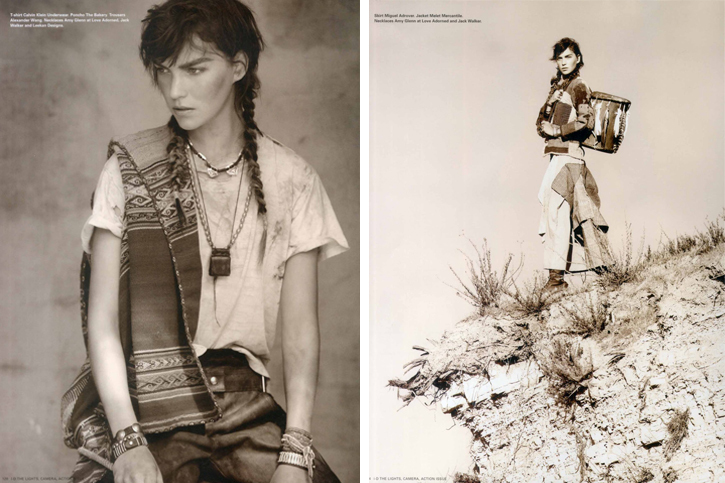 A little less colourful than my usual picks, this editorial comes from I-D Magazine's Summer 2012 issue, shot by Kayt Jones, featuring American model of the moment, Arizona Muse. 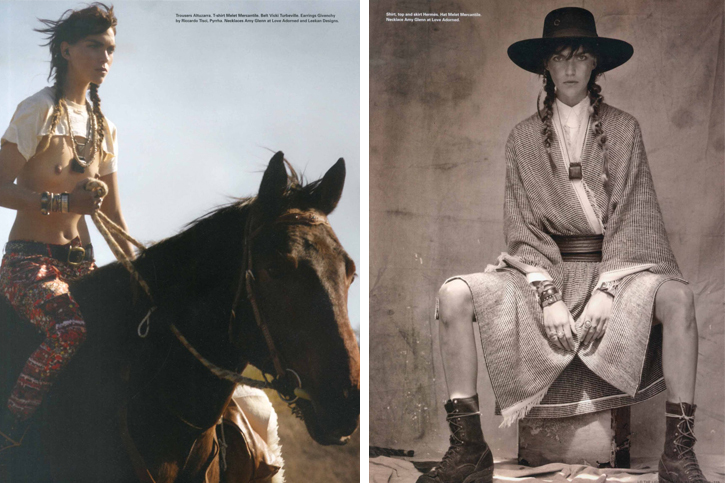 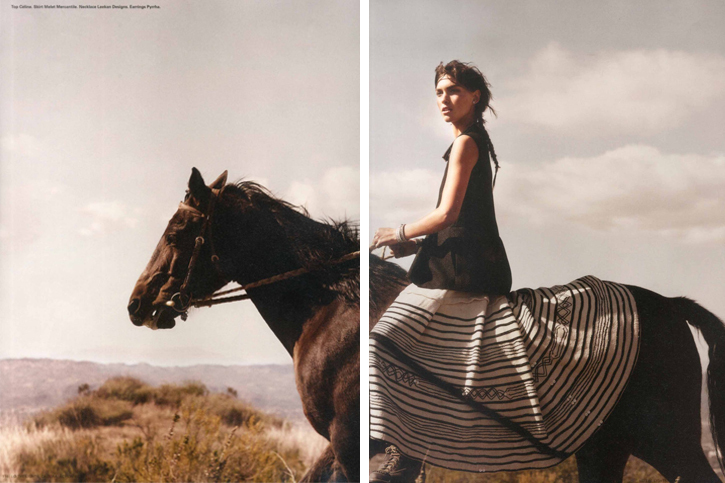 Looks like those folks at I-D literally took her name into account with this shoot which follows Arizona riding horseback (through what could actually pass as Arizona) in an assortment of south-western inspired garb. 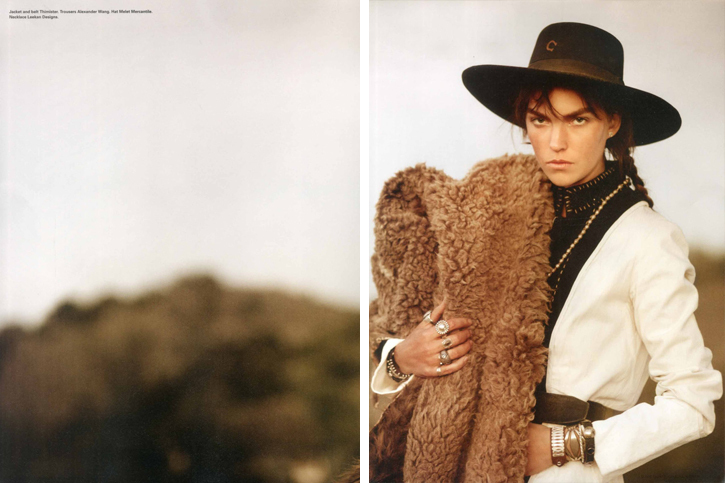 Loving the nod to Native American culture with the statement jewellery, feather-braided hair, patchwork skirts and belted blanket shawls, topped off with a good ol' Stetson and a very authentic looking, feather adorned, cowhide drum.